Death Note Binder Notebook My School Fellow L Light Ryuuk Anime Scrapbook Book - Manga & Books - Anime Market: Buy and Sell Manga, Anime and More! 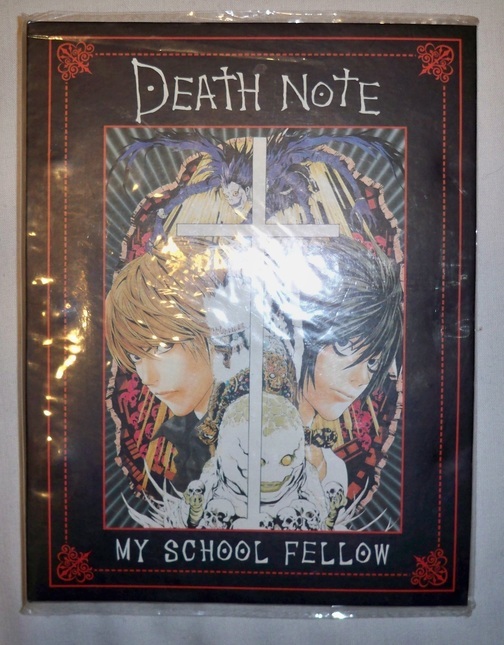 Death Note 3 ring binder scrapbook. Beautiful art hardback cover on both sides. All pages in color. Hard to find item! PAYMENT: Payment accepted via Paypal. Taxes and Paypal fees are included in sales price. RETURNS: Items as sold as is. Returns accepted if buyer pays return shipping. Only the original shipping and purchase price paid to have the item sent out can be refunded. SHIPPING: Shipping and handling fees may vary. Shipping and handling times may vary but expect items to be shipped within 3-5 business of cleared payment. USA and international shipping available with tracking for most locations via USPS unless requested otherwise.